The first ever fashiontech event in the country titled 'Bangladesh Fashionology Summit' in Dhaka take place on 12th February 2018. 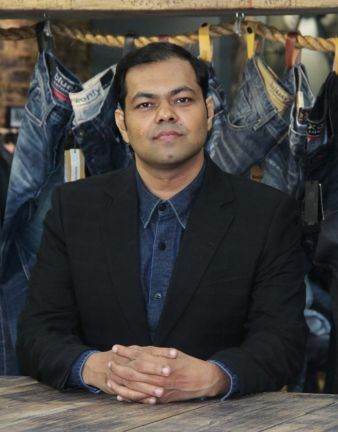 Mostafiz Uddin, the Founder & CEO of the international Bangladesh Denim Expo, has initiated organizing the Summit in the capital of the world's second largest readymade garment exporting country to 'shape the future of the fashion industry'. Can Bangladesh, the second largest readymade garment exporting country of the world, sustain continuing its legacy system of producing the basic apparel that allows longer lead time? How can the apparel factories of Bangladesh prepare for the transformation into the Industry 4.0? What skills and abilities are required to successfully cope with the transition from Industry 3.0 to Industry 4.0? These and many other compelling topics are going to be discussed at the first ever fashiontech event in the country titled 'Bangladesh Fashionology Summit' in Dhaka on 12th February 2018. Mr. Mostafiz Uddin, the Founder and CEO of Bangladesh Apparel Exchange (BAE) as well as Bangladesh Denim Expo, said: "The Bangladesh Fashionology Summit aims to build the bridge between the present and future of the Bangladesh apparel industry." 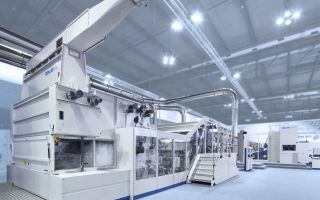 There are nine key techniques that serve as the backbone of Industry 4.0: artificial intelligence, industrial Internet, industrial cloud computing, industrial big data, industrial robot, 3-D printing, knowledge work automation, industrial network security and virtual reality. 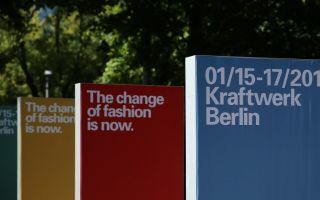 All these will be discussed by the leading experts from 11 countries including the USA, the Netherlands, France, the UK, Japan, Canada, Sweden, Thailand & India at the summit in four sessions namely 'Factory of the Future', 'Virtual Prototyping And Digitalization Of The Apparel Supply Chain, 'Fashion Tech & Sustainable Innovation, and 'Mass Customization & On Demand Manufacturing'. Some of the most respectable names in the industry who are leaders in automation and digital technology are also joining the Bangladesh Fashionology Summit. Bengal Plastic Ltd., Fashion for Good, Juki, Lectra, Prime Asia Ltd., Sindabad, Tukatech. 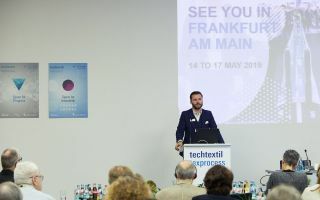 "We are bringing together under one roof the most inspiring and innovative thinkers/companies from across the globe to initiate the much-needed conversations around technology, digitalization and innovation in the apparel and fashion industry to shape the future of Bangladesh apparel industry," said Mr. Mostafiz Uddin. 1. Mr. Tofail Ahmed, MP Honorable Minister Ministry of Commerce Bangladesh Secretariat, Dhaka. 2. Mr. Md Nojibur Rahman Principal Secretary Prime Minister's Office. 3. Mr. Zunaid Ahmed Palak, MP Honorable Minister Ministry of ICT division. 4. Mr. Md Atiqul Islam President CEBAI & Immediate Past President, BGMEA. 5. Mr. Md Siddiqur Rahman President Bangladesh Garment Manufacturers & Exporters Association (BGMEA). 6. H E Ms. Leoni Cuelenaere Ambassador Embassy of the Kingdom of the Netherlands to Bangladesh. 7. Ms. Sonia Bashir Kabir Managing Director Microsoft Bangladesh, Nepal, Bhutan, Laos. 8. Mr. Md Mohiuddin Rubel Managing Director Bangladesh Apparel Exchange Ltd. & Director, Denim Expert Ltd. The first ever Fashion Tech Runway Show in the country is also going to be hosted during the Bangladesh Fashionology Summit. Designers from The Netherland, Spain, Paris, UK & India are flying down to Dhaka with their latest digital tech collections to showcase at the event. Smart wearable, 3D printed, LED embedded glow show collections are some of the futuristic fashion tech creations to be displayed at the runway show. "Smart and tech imbedded wearable is the future of fashion. As seeing is believing, we are going to organize the Fashion Tech Runway Show to inspire the industry to step into the future," said Mr. Mostafiz Uddin.